Mr. Richard Shores, age 88, passed away Friday, May 12, 2017 at his home in Fairfax. He was born on August 21, 1928 in Milton, VT, the son of the late George and Harriet (Turner) Shores. On July 4, 1950, he married Shirley (Palmer) Shores. Shirley predeceased Richard on March 11, 2016. He worked for many years at the St. Albans Co-Op Creamery. Richard had many hobbies and interests such as gardening, antiques, riding along the countryside, and making pickles. He also enjoyed old TV shows like Gunsmoke and Everybody Loves Raymond. He will be remembered for his dry sense of humor and funny stories, as well as his kind and gentle disposition. 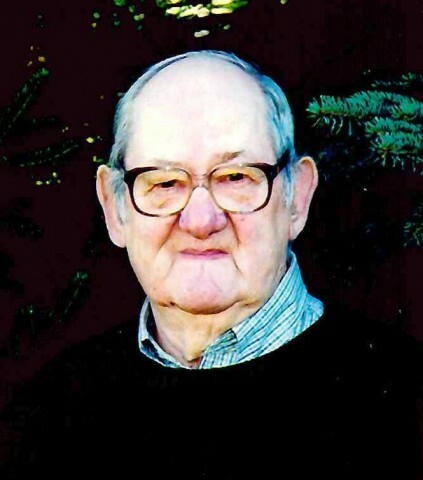 Richard is survived by his children, Pauline Frazier and husband Morris of Vancouver, WA, Richard Shores Jr., of Sheldon, Mary Long and companion Tim Zollo of Vancouver, WA, Daniel Shores of Fairfax, Sally Heyer and her husband Joel of Fairfax, Diane Mears and husband Philip of Milton, and Susan Stryker of Calais, ME, 13 grandchildren, 3 great-grandchildren, and his feline friend Mr. Bear. Besides his parents and wife Shirley, Richard was predeceased by his son Kevin, his brothers, George and Joseph, and sister Catherine (Shores) Rood. A heartfelt thank you to Richard’s son Daniel for many months of patience and being a dedicated caregiver of his father so he could stay at his home. A graveside service will be held for Richard and Shirley on Thursday, May 18, 2017 at 9:30am at St. Luke’s Cemetery in Fairfax. Memorials may be made in his memory to the Franklin County Home Health Agency, 3 Home Health Circle, St. Albans, VT, 05478, or the Fairfax Rescue Squad, PO Box 428, Fairfax, VT, 05454. Online condolences may be sent to his family at the Brady & Levesque Funeral Home website: www.bradyandlevesque.com. Arrangements are entrusted to the Brady & Levesque Funeral Home and Commemorative Services.